The many complexities that arise when you’re a city of neighborhoods. In the early 1800s, Baltimore’s neighborhoods were far more fluid—diverse in race, ethnicity, and even economic status, largely due to density in a smaller city. Ethnic concentrations did exist, but many wouldn’t take root until transportation advances such as streetcars allowed them to segregate. By the mid-20th century, Baltimoreans “were definitely sticking to their own neighborhoods,” says University of Baltimore historian Betsy Nix, “not really mixing with people who weren’t their nationality, religion, or race,” which was further entrenched, of course, by the racist practices of redlining and blockbusting in the previous decades. 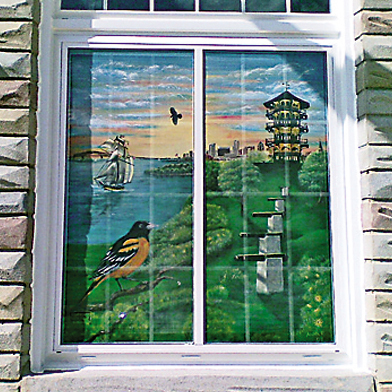 In other words, our neighborhoods should always remain a source of pride. But not too much pride. There’s a big city out there worth connecting with. Long live our architectural dream team. 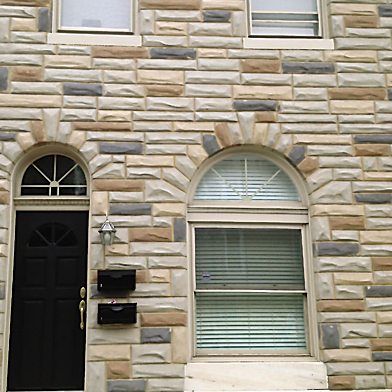 Once fashionable, this déclassé faux fieldstone remains an iconic symbol of blue-collar Baltimore, with the “polyester of brick,” as Waters once put it, still gracing façades like a badge of honor. 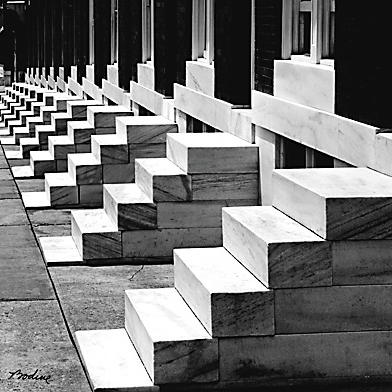 Born in a Baltimore County quarry in the 1800s, marble stoops long elicited a deep sense of pride, with residents making a ritual out of hand-scrubbing their steps on Saturday mornings. Pioneered here in the 1910s, this once-prolific urban folk art has become harder to come by, but keep your eyes peeled: it can still be found around Highlandtown, Little Italy, and Fells Point.